Our Third Rowayat Student Fiction Competition geared for them, not only will the winners be published in Rowayat‘s Third Issue but they will also receive prizes at the launch ceremony. 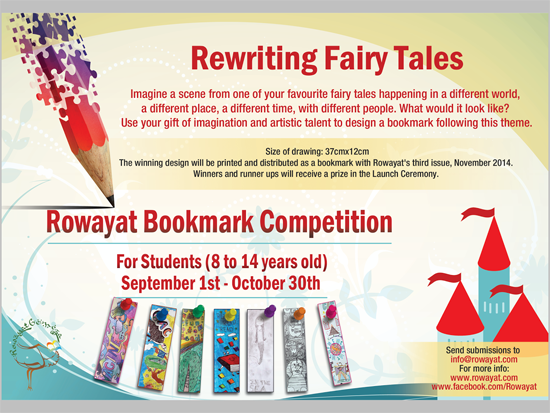 The winning artwork will be Rowayat‘s bookmark for a whole year, printed and distributed with every journal. 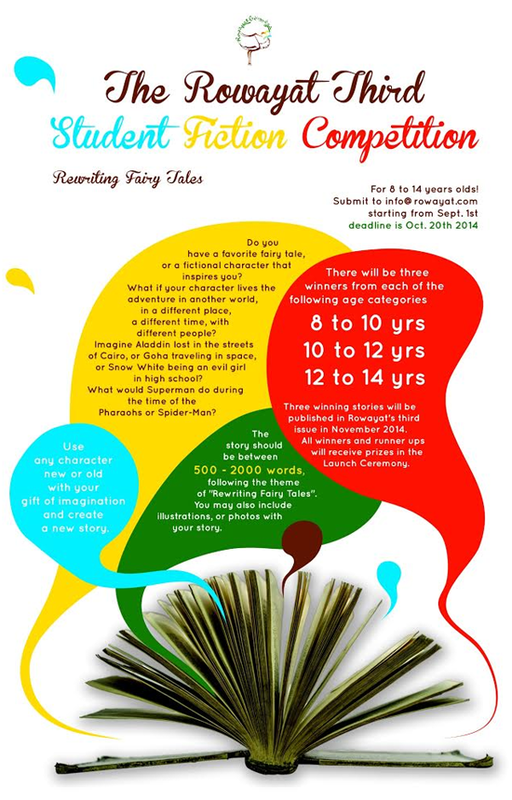 Send submissions to info@rowayat.com Deadline October 20th 2014.